The pregnancy of the 28-year-old model of Xenia Deli became known in May. Then the girl herself said that she was expecting a child from her husband - 64-year-old billionaire Ossama Fathi Rabah Al-Sharif from Egypt. On July 24 Xenia posted a gentle photo with her husband and wrote: "Thank you for your love and for her." Subscribers have decided, that Deli has given birth to a daughter and began to congratulate her with the newest addition to her family: "Congratulations !!! This is the greatest happiness to be a mother !!! "," Is this a girl ??? I congratulate you !!! ". Also Xenia's ex-boyfriend, musician Egor Kreed congratulated her on the birth of her daughter. 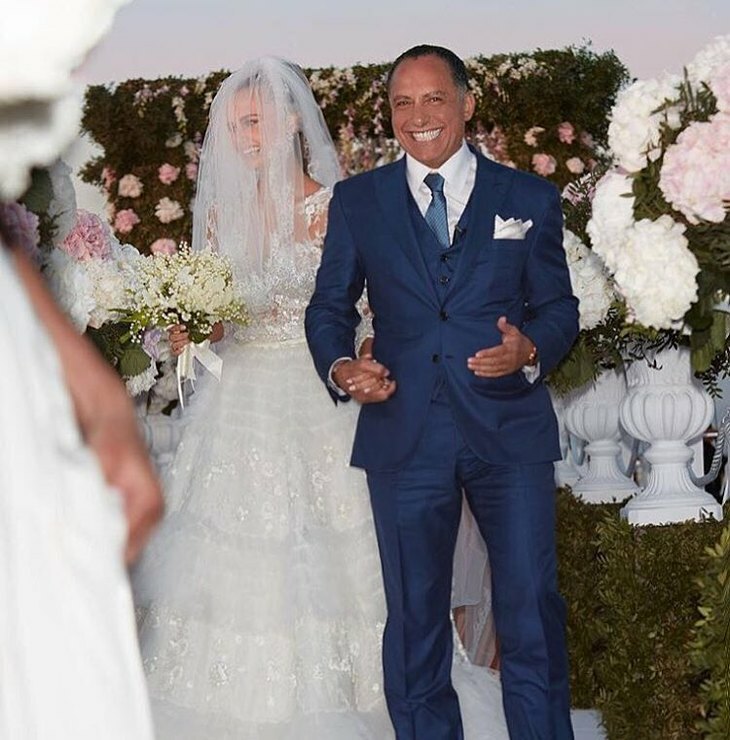 Recall , Xenia Deli and the Egyptian billionaire Ossama Fathi Rabah Al-Sharif got married almost two years ago. Their luxurious wedding took place in 2016 in Santorini. Couple is often criticized because of the large age difference, but Xenia does not pay attention to gossip.